Every bride deserves to be the center of attention and look like the most beautiful woman in the world on her wedding day. There is no better way to achieve this than selecting the perfect-for-you bridal gown. Sure, your decor and your bridal parties attire are important. Let’s be honest, though, it’s you, the bride, everyone has come to see. Therefore, make sure you hit your gown choice out of the park! 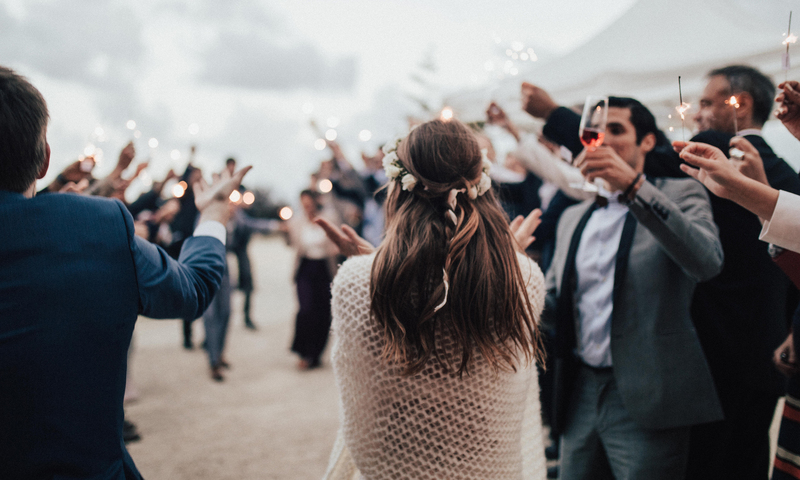 To get you headed in the right direction, we encourage you to consider the following trends for the spring and upcoming summer and fall bridal seasons. According to BRIDES Magazine, capes and capelets were featured in almost every bridal designer’s show previewing upcoming 2018 trends. Go ahead and call these brides caped crusaders. They can be their own version of an Avenger hero. Of course, they can also channel their inner princess and look like royalty as well. Also heavily featured on runways according to BRIDES were nontraditional hemlines. Designers showcased everything from leg-baring minis, to calf-grazing midlength tea dresses. The mid-length in particular calls to mind the 1950s classic elegance made popular by beauties like Audrey Hepburn. Yes, traditionally bridal gowns were either brilliant white or at least an ivory or off-white. However, Martha Steward Weddings says, according to many 2018 Bridal fashion shows, it’s okay for you as a bride to venture away from this tradition. Martha mentions a pale purple gown from Carolina Herrera’s Fall collection that is the perfect example of this trend. If all over color for your wedding dress is too far away from traditional for your tastes, you can always use colored embellishments to incorporate some color without completely foregoing tradition. Women are demanding more respect in their careers, and in their homes and are often thought of “wearing the pants,” so why shouldn’t this extend to their wedding day? It can now. According to BRIDES Magazine, there were countless examples of pantsuits, elegantly tailored pants and jumpsuits featured on bridal runways, making them more a more socially accepted option than in previous years. If the thought of wearing dress turns your stomach or you just want to step outside of tradition, this trend might just be for you. Hopefully, the above information will give you some ideas to work with as you contemplate what to wear on your big day. Ultimately, you have to choose something that is perfect for you, no one else. Therefore, feel free to use the info and then tweak it to make it your own and rock your wedding day!